Firms have temporary cash surpluses for various reasons. Two of the most important are the financing of seasonal or cyclical activities of the firm and the financing of planned or possible expenditures. Seasonal or Cyclical Activities Some firms have a predictable cash flow pattern. They have surplus cash flows during part of the year and deficit cash flows the rest of the year. For example, Toys "51" Us, a retail toy firm, has a seasonal cash flow pattern influenced by Christmas. A firm such as Toys "51" Us may buy marketable securities when surplus cash flows occur and sell marketable securities when deficits occur. Of course, bank loans are another short-term financing device. 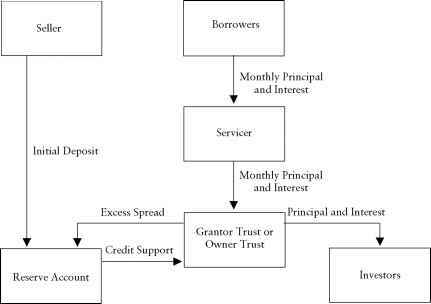 The use of bank loans and marketable securities to meet temporary financing needs is illustrated in Figure 20.6. In this case, the firm is following a compromise working capital policy in the sense we discussed in the previous chapter. Planned or Possible Expenditures Firms frequently accumulate temporary investments in marketable securities to provide the cash for a plant construction program, dividend payment, or other large expenditure. Thus, firms may issue bonds and stocks before the cash is needed, investing the proceeds in short-term marketable securities and then selling the securities to finance the expenditures. Also, firms may face the possibility of having to make a large cash outlay. An obvious example would involve the possibility of losing a large lawsuit. Firms may build up cash surpluses against such a contingency.